The Westport Recreation Park is located at Grays Harbor Lighthouse, Westport, Washington. Westport is located 20 miles south of Aberdeen, WA, and 130 miles south of Seattle, WA. From Seattle: Take I-5 southbound towards Portland. Take the US-101 North exit (Exit 104) towards Aberdeen/Port Angeles. Merge onto US-101 N. Take WA-8 W towards Montesano/Aberdeen. WA-8 W becomes US-12 W. US-12 W becomes US 101 N. Upon arrival in Aberdeen, follow the directional signs to SR-105 South. At the Visitors Information Center before you reach the Westport town limits, the road splits (called the “Westport Y”). The best route to the Coast Guard Station (to pick up the gate and restroom keys) is to turn right onto Montesano St. [SR105] and proceed toward Westport. There is a tiny sign indicating a right turn toward the Coast Guard Station at Wilson, but the main landmark is the Chevron Station. Turn right, go two blocks to Nyhus; turn right into fenced area and enter tan brick USCG Station building. 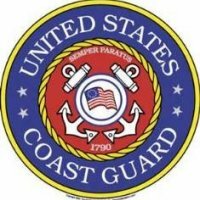 The OOD staff does not assign spots or give keys without notification from the USCG Seattle facility, nor do they accept payment for sites. All arrangements are made through Seattle office. From the Station parking lot, make a U-turn and immediately turn left back onto Wilson. At the Chevron Station (Montesano) proceed straight onto West Wilson, which soon becomes Forrest St. Turn right at the stop sign onto Ocean Ave. Drive to cut-out sign of a lighthouse and turn right into narrow gravel lane. There is no indication this is a campground. Open chain or gate, drive in and find assigned spot. Active, National Guard, Reservists, Retired, 100% DAV and other eligible military ID card holders. 36' maximum length. Authorized patrons must check in with the Officer of the Day (OOD) at USCG Station Grays Harbor to obtain two keys to gain access to the campground and restrooms and read and sign a Patron Rental Agreement outlining the policies governing the campsite. A short hike or drive to Pacific Ocean beaches. Lighthouse tour is free to active and retired military. Town of Westport offers groceries, fuel and other needed items. Buy fish/crabs from the commercial fishing boats. A Coast Guard famcamp with 5 sites under a lighthouse. The sites are laid out close together with 30 amp only. The lighthouse is open for tours with a great view from the top. The restroom facilities are dated with no laundry room. The campground is behind a locked gate to the lighthouse without a camp host. The location is good for day tripping and local maritime history buffs. Will stay here again if in the area. Power went out the first day and never came back on. Any commercial site would have fixed the problem or refunded your payment. In the future, on a short stay I will use the nearby Walmart parking lot. I recommend you do the same. Comments from 2010 are still valid. Watch out for mosquitoes! Other than that, a great little campground. We were in site #2, directly under the lighthouse. Lots of shade, beautiful trees. Bathroom and showers could use some updating but I've been in much worse. Can get foggy and cold at night. Amazing! No reviews for 4 years, then two in a row. We followed Steve into Site #2 and have nothing but positives to say. [I’ve written an article about the campground and town for the website newsletter.] Steve was there on a Labor Day weekend that followed an over-capacity crowd the previous week that left the place in need of lots of clean-up. Steve was disappointed, but a few days later everything was very clean. A great recreation park for travelers and families. There's lots to do around here. Since during our 10-day stay there were few others using the park, it was also a great place to "chill". We just spent two days at this site and had a great time. There are just a few sites but none are right next to each other. We stayed in #2 right under the light house. There are water and power 30A, two tables and a fire pit. There is a dump site as you exit the park. There is a bathroom and shower near by and you get the keys from the CG base in town. The bathrooms were not the cleanest but not so bad you were afraid to use them. It was very quiet when we were there. A very rustic campground. There are firerings. It is within walking distance to the beach. The lighthouse is right there and can be visited (for a fee). The defination of some of the sites are rather vague. It is located off base, so no exchange, commissary, etc. I think it was $11 or $12. per night, and we had water & elect. There was a gate and the CG gave us a key to get into the campground.